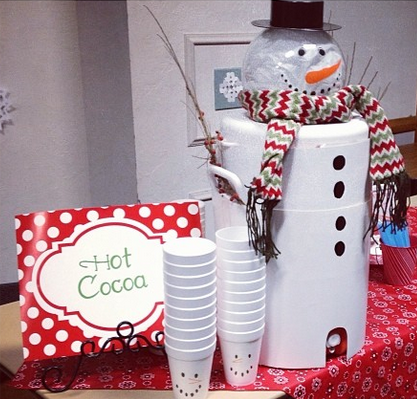 I saw this cute snowman drink dispenser that Victoria from ObSEUSSed posted on her Instagram account. She took a regular igloo drink dispenser (the bright orange Igloo brand you see at every sporting good supply store) and camouflaged it to give it a lot of Christmas cheer! I couldn't leave well enough alone with just two cute snowman drink dispensers, so I did a little digging and found one more that I love. 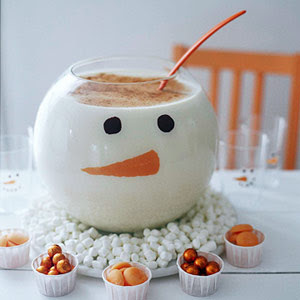 This cute melted snowman water dispenser would be easy to pull off with any glass water jug you usually use. Just add the black hat and the melted eyes and nose to the table. 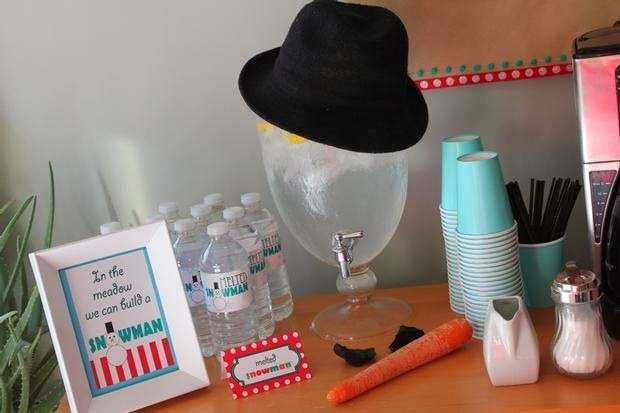 This fun idea was part of a winter 'ONE'derland party by Wakawoo Events that was featured over at Hostess with the Mostess. The melted snowman water bottles are pretty cute too!